Over 8,200 people have made online reservations in the past month for the upcoming Nissan Leaf EV, and for good reason. The $33,000 vehicle, set to be released later this year, is the first affordable all-electric vehicle from a major auto manufacturer. It’s an early adopter’s dream. 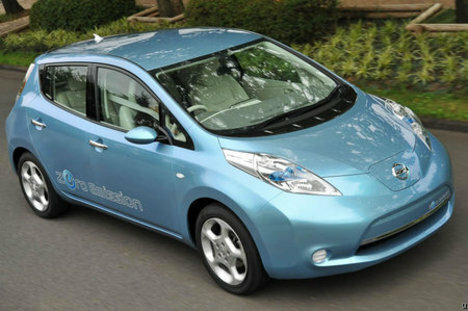 Now Nissan has revealed the secret behind the Leaf’s reasonable price: an ultra-cheap battery pack. While most lithium-ion batteries cost $1000 to $1,200 per kWh, the Leaf’s 24 kWh battery pack costs just $9,000 to produce, or $375 per kWh, according to a report in the Times of London. In comparison, the Chevy Volt battery pack reportedly costs $600 per kWh, and even the U.S. Advanced Battery Consortium only has a goal of producing batteries at $400 per kWh by mid-decade. So what gives? If the report is correct, Nissan could revolutionize the EV battery industry–assuming it will share its technology with other automakers. We still have our doubts, though, that this too-good-to-be-true pricing scheme is real. Nissan hasn’t yet responded to our request for comment.